Election season has rolled back around and we’re taking a look at the election flyers that didn’t quite hit the mark! Politics tends to ignite passionate debates from the offset. And it goes into overdrive when a party or candidate makes a clumsy mistake during the all-important election printing season. 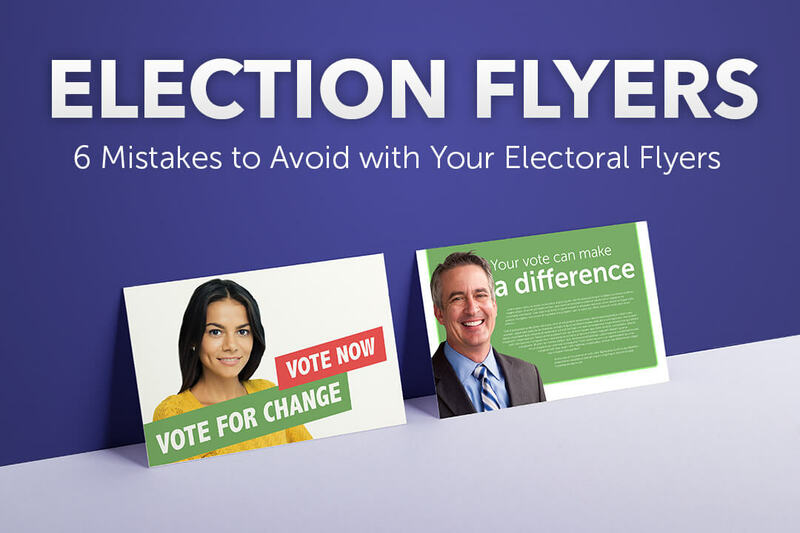 It’s worth mentioning that all of the election flyers below are featured because of mistakes made in their execution. They are in no way an endorsement of the parties, politicians or any opinions may include. This blog is purely designed to help you learn more about best practice when creating flyers. With that out of the way, let’s focus on what we are all here for – the mistakes to watch out for when creating your flyers. Spelling mistakes crop up surprisingly often. When listing arguments and options for voters, ensure you’ve double checked every single detail to ensure utmost accuracy. 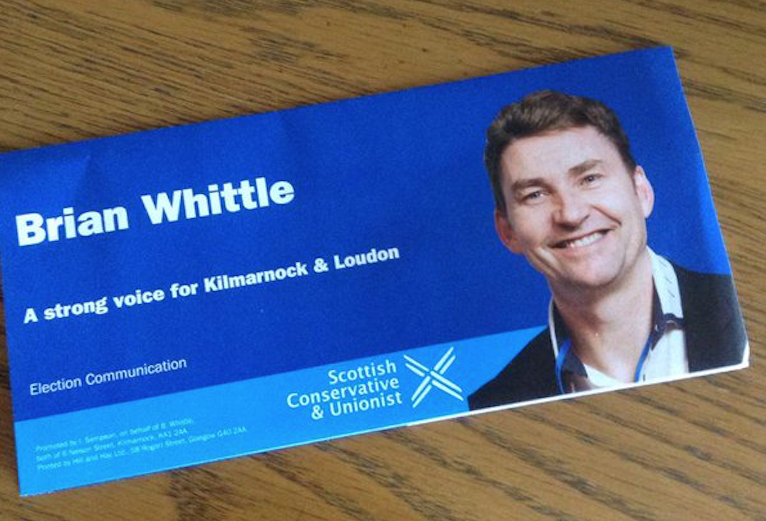 Having multiple spelling mistakes on your flyers immediately makes any voter question the integrity of your statements – especially when you spell the name of the constituency that you represent incorrectly. A quick fix for this is running it by multiple members of staff, so they can flag up any potential errors. Alternatively, tools like Grammarly are really helpful. 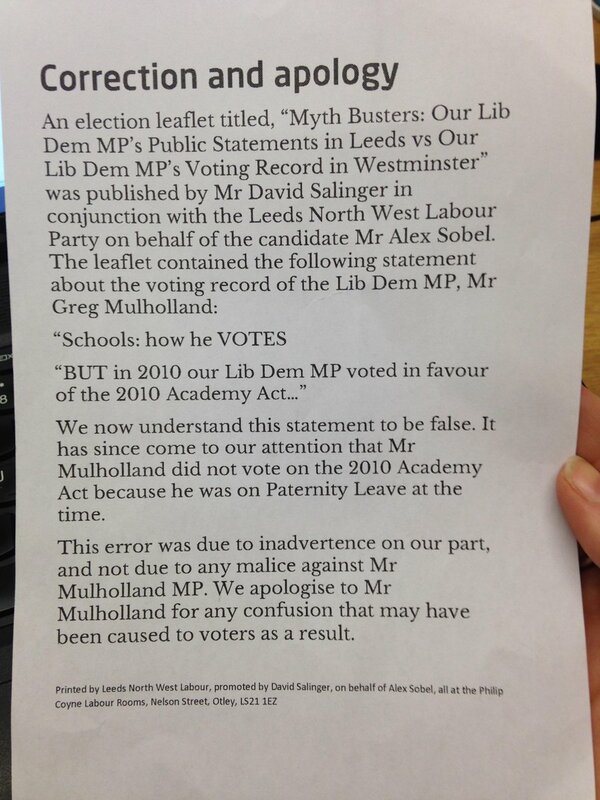 Alex Sobel’s flyers, distributed for the Labour Party. A crucial part of presenting any statement is making sure it’s correct before you send it to print. Unfortunately, this important step wasn’t completed for Alex Sobel’s election flyers. A mishap on an original statement consequently led him to issue an apology letter to his opposition for making false statements. This could have easily been avoided by a simple fact-checking process to ensure accuracy. It was a simple mistake that probably cost them a fair bit of money and their campaign. 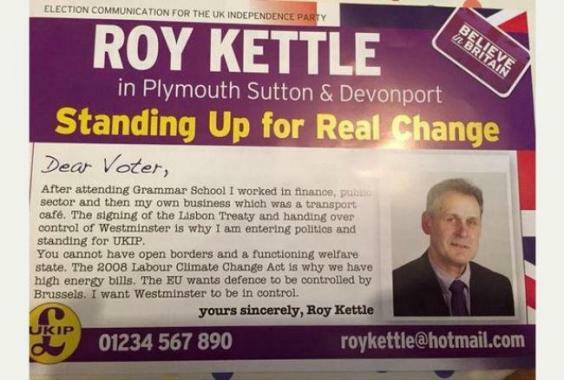 Election flyers for Roy Kettle, distributed for UKIP. 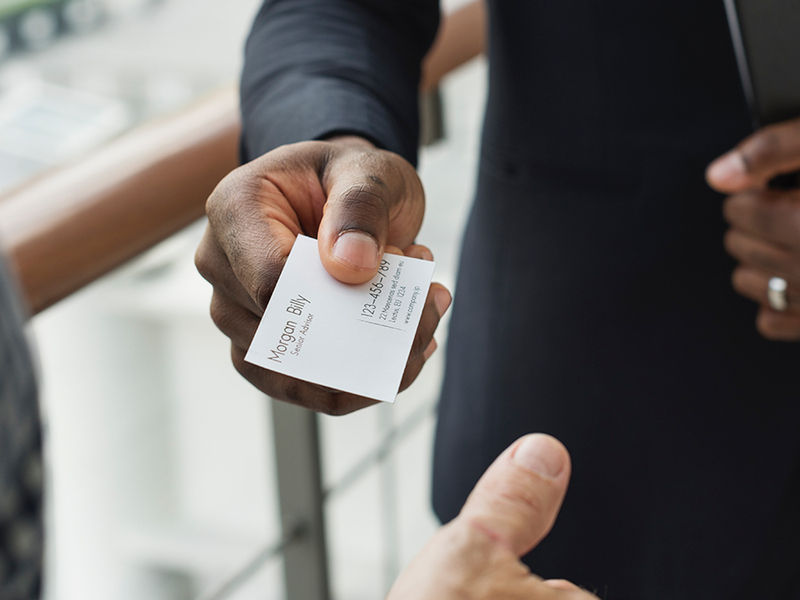 Of course, one of the most important parts of any flyer is contact information. It doesn’t matter how good your copy and imagery are, without the correct contact information nobody can reach you. This turns your flyers from a lucrative marketing method to a complete waste of campaign money. Take a look at the flyer above from Roy Kettle and you’ll notice the number is immediately suspicious due to the numbering – 01234 567 890. It’s very unlikely that it’s the correct number and has most-likely been used as an interim placeholder, which wasn’t taken out before it was printed. 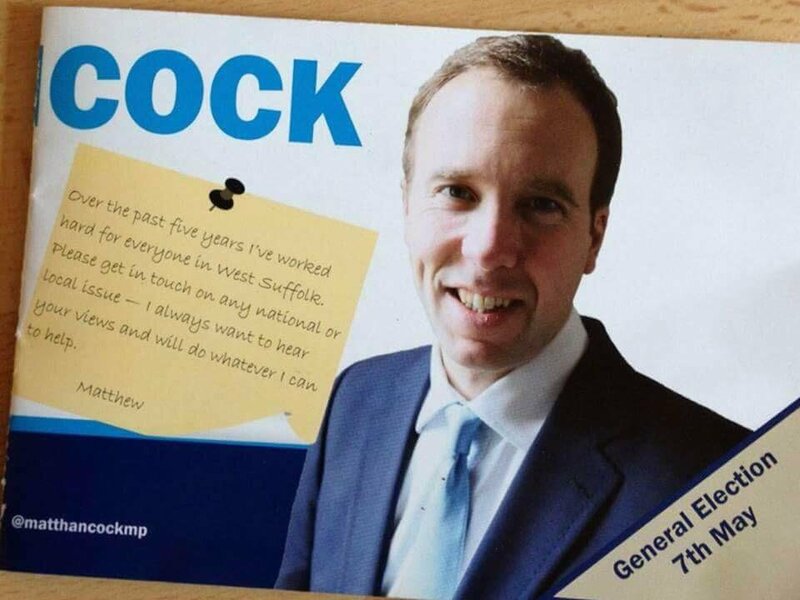 Matthew Hancock’s flyers, distributed for the Conservative Party. The design of any piece of print is very important, even more so when you’ve got an election on the line. We’re not completely sure how this unfortunate one got through, but there’s certainly a lesson to be learned from it. Folds, perforations and any other finishing should be considered at the design stage to avoid giving the wrong message. At the very least to avoid a repeat of this flyer design. If you haven’t quite got the budget for an Adobe suite, a free alternative, such as Canva, may be for you. A flyer distributed for UKIP. Often in the early design stages, placeholder text and imagery are used to help show the finished look and plan layouts. Make sure any of this placeholder content is either removed or replaced with the live copy. One of UKIP’s flyers featured above, is an example of why this step needs to be taken – they made a possibly personal flyer into one that was void of a personal touch. 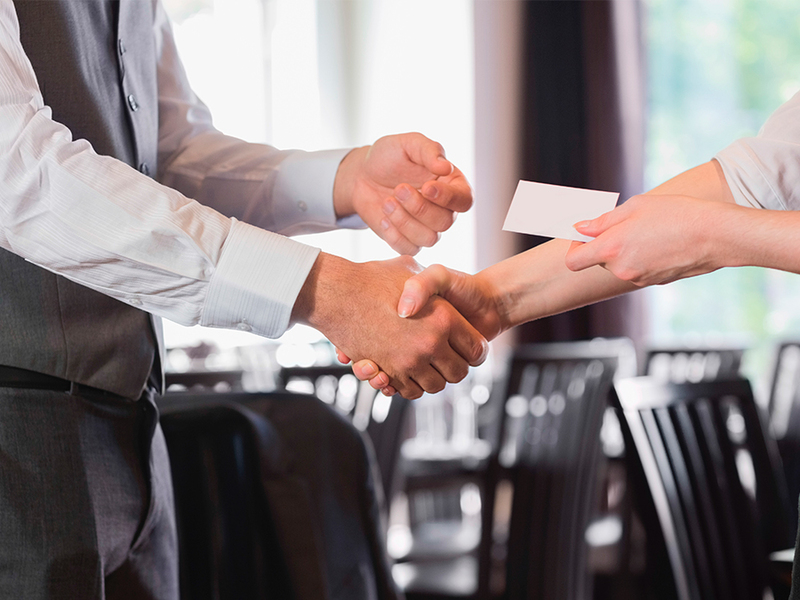 It’s a simple fix that can make or break any communication through flyers. Andrew George’s election flyers, distributed for the Liberal Democrat Party. Keeping your message consistent is incredibly important for your flyers, as people don’t want to read a supporting argument only to see you contradict it a minute later. A bad example of this is shown above. 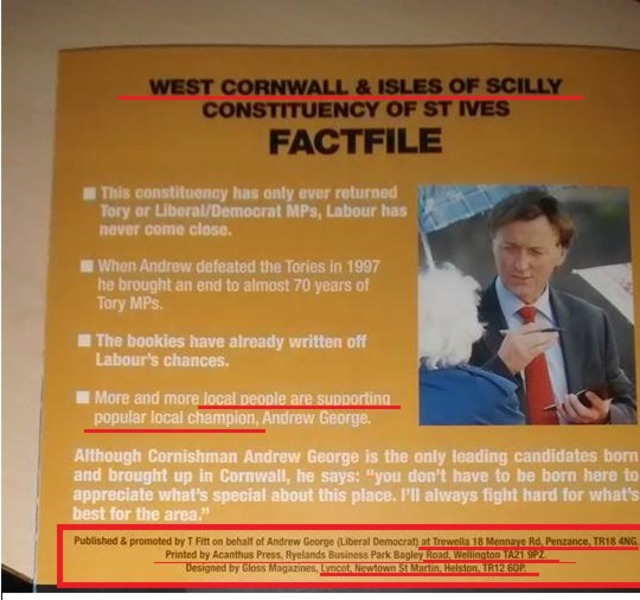 Andrew George’s flyers claimed he was a local man who supports local businesses, yet his flyers were printed in Wellington, Somerset. A very local 116.7 miles away from Cornwall. The English local government elections, mayoral elections and the local government elections for Northern Ireland take place on Thursday 3rd May 2018. Please note that the deadline to register to vote, Tuesday 17th April 2018, has already passed. Your vote does matter, so be sure to place your vote or have someone to do it on your behalf. You can visit Your Vote Matters for more information and advice about voting. Does Solopress have your vote? Solopress print a range of products, including flyers. If you’re on the lookout for new flyers (or any printed material) why not order one of our sample packs to see the range of papers and finishings to see what we can do. You can get your very own right now by completing our form here. A big thank you to Indy100, The Guardian, The Telegraph and Election leaflets for sourcing all of these images. If you’d like to contribute any election flyers that you’ve received, you can upload a scan or photograph through Election leaflets’ ‘Add A Leaflet’ option. 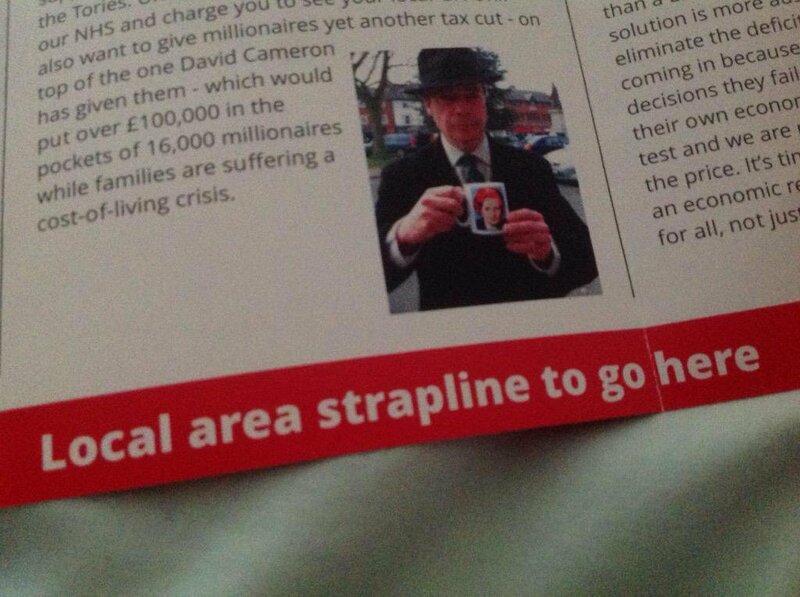 This article is a follow-on from our Best Election Leaflets article written in 2014. 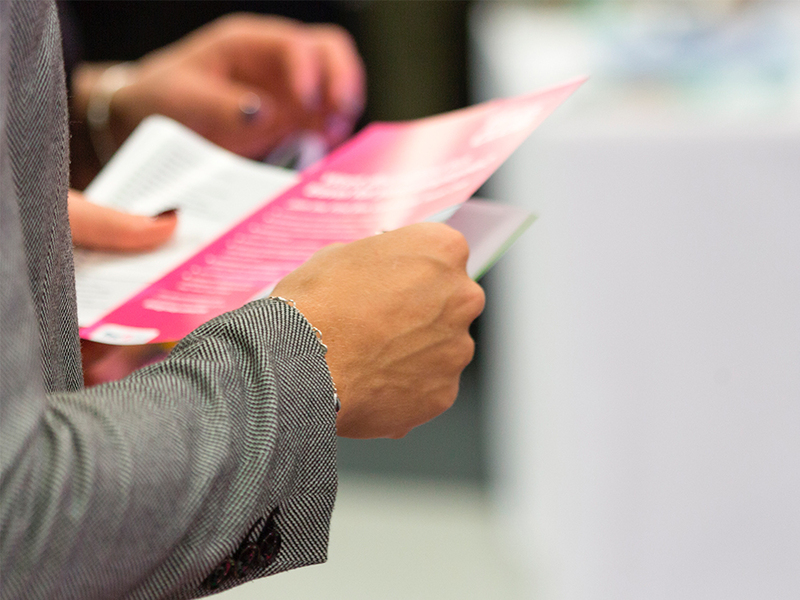 We definitely suggest that you take a read and combined with this blog post, we’re confident that you’ll know how to succeed and avoid mishaps with your flyers.